Daniel Reucher | Europäische Stanzform Union e.V. Our goal is to keep our internet presence up to date. In our research we come across interesting new technologies, materials or other things. As a rule, the information materials are provided by the manufacturers or dealers. We would like to share this material with you, but expressly point out that we will not make any purchase recommendations or cooperate in any way with these companies. Prototypes are already being produced in 3D production facilities in production halls, but in the coming years, the process will only reach its full economic potential: By 2030, the global market for 3D printing products in the industry will average between 13 and 23% per year. 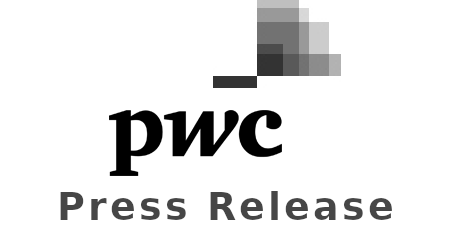 market volume of EUR 22.6 billion, according to a recent analysis by Strategy &, the strategy consulting firm of PwC, in cooperation with Materialize’s 3D printing specialists. Optimized printing methods and materials as well as greater implementation in business processes and the establishment of new business models are growth drivers. The process opens up new opportunities, especially for the aerospace industry with average annual growth rates of 23% and for the automotive industry (+ 15%) Potentials in production: In the future, spare parts can be produced on-site as needed. For medical technology too, 3D printing offers great opportunities, with projected average growth rates of 23% per year, followed by industry (+ 14%) and retail (+ 13%). “The accelerated and more flexible development and production through the 3D printing process will unleash enormous economic power over the next few years. The growth opportunities are huge: only 18% of companies currently use 3D printing, but in the next five years we expect an increase to one third of the manufacturing companies. Therefore, it is now necessary to consider how 3D technologies can be profitably integrated into one’s own business model and how they can strategically expand the product portfolio, “explains Christian Foltz, Partner at Strategy & Germany. Within the aerospace industry, Strategy & Experts predict a 3D print market volume of $ 9.59 billion worldwide by 2030. In 2015, only 0.49% of 3D printed products were manufactured in the industry, and by 2030 this percentage will increase to 5.2%. In the next two years, the certification of 3D printing technologies will be the central growth factor. By 2030, the design tailored to 3D printing processes will play the most important role. In medical technology, the 3D printing market volume increased from 0.26 billion euros (as of 2015) to 5.59 billion euros (2030). “By 2020, the advances in 3D printing in medical technology will be marked above all by the reinvention of existing products and business models. On the other hand, the success of companies with promising 3D printing projects depends on the development of new materials and optimized printing processes, “comments Foltz. In the automotive industry, the 3D printing market volume is estimated to grow from € 0.34 billion (2015) to € 2.61 billion (2030). Here, the focus is still in the prototype development. “In the future, it is conceivable that manufacturers themselves print out individual components that are only needed in smaller quantities, thereby saving time and costs compared to the previous supply chain. Here, too, specialized 3D printing suppliers will divide the lion’s share of the value chain among themselves. Just-in-time delivery will turn on-demand 3D printing, “says Foltz. Even OEMs will probably set up their own certified 3D printers in their authorized workshops in the not too distant future, which will print original spare parts as needed, thereby increasing margins in the aftersales sector through reduced logistics and storage costs. An effect that retailers are already benefiting from today in conjunction with individual, highly advanced brands: Customers can design products digitally and have them printed on-site. In terms of total retail sales, Strategy & Analysis predicts that the 3D printing market will grow from € 0.3 billion (2015) to € 1.89 billion (2030). In the industrial sector (excluding the automotive industry) experts expect an increase from 0.44 billion euros (2015) to 2.98 billion euros (2030). “The rapid technological development of 3D printing can fundamentally change established structures as well as the interaction between research and development, suppliers, manufacturers and retailers. The players involved along the value chain must therefore systematically deal with the opportunities as well as the risks of this technology and analyze how the resulting potential can be used for their business, “concludes Foltz. SAM, a self-learning assistance system, helps machine operators resolve errors in production machines. Additive Manufacturing has established itself in many industrial sectors as a method for making plastic parts. The 3D printing of metals is on the road to becoming a similar success story. In the newly opened 3D-Printing Lab for Metals and Structural Materials at the Fraunhofer Institute for High-Speed Dynamics, Ernst-Mach-Institut, EMI, researchers have investigated how resource- efficient the manufacturing process is when lightweight aluminum components are manufactured using additive methods. They discovered that even marginal reductions in the material and resources used per component yield high cost savings in series manufacturing. The 3D-Printing Lab for Metals and Structural Materials at Fraunhofer EMI in Freiburg houses one of the largest commercially available 3D printers for metal currently in existence. In the research sector, an apparatus of this size is unique. 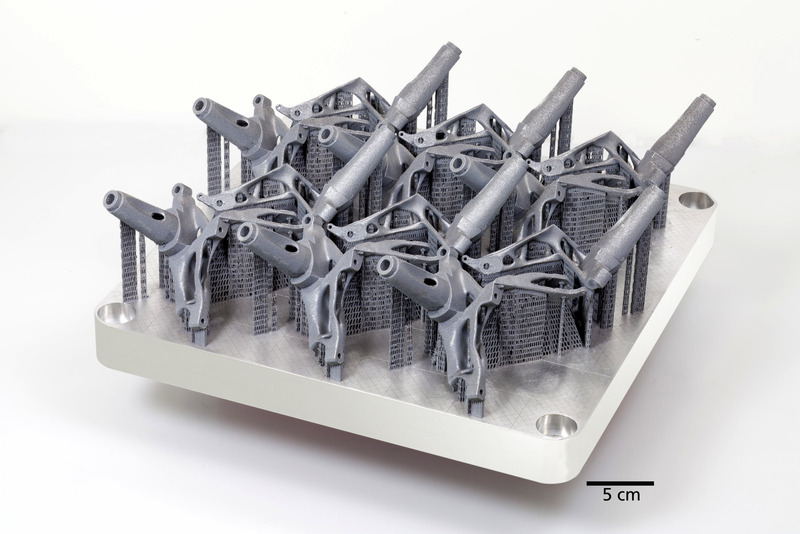 Using the selective laser melting technique (see box “How SLM works”), metal structures with dimensions of up to 40 centimeters can be made by additive manufacturing. 3D printing offers completely new ways of designing components with highly complex shapes and optimizing their weight. But it is only by combining Additive Manufacturing and intelligent lightweight design that you can maximize resource efficiency in manufacturing. Fraunhofer researchers in the 3D-Printing Lab have investigated just how economical the manufacturing process is in terms of resources, and whether material and operating costs can be minimized compared to conventional industrial methods. To do this, they took a practical, widespread component for their tests: a wheel carrier such as might be used in a lightweight vehicle. 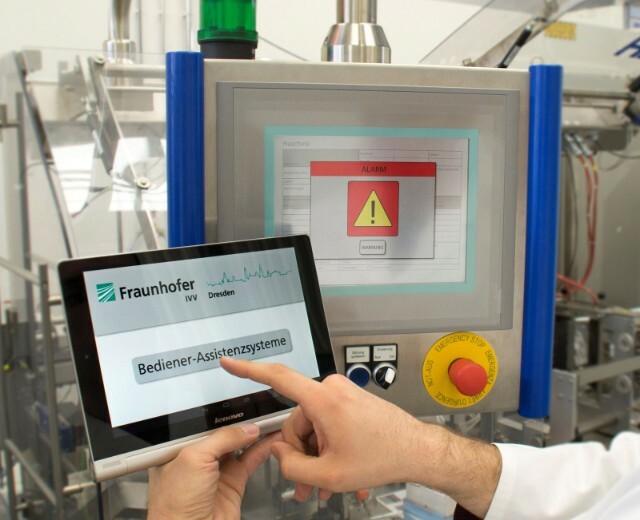 “We were able to quantify the effect lightweight construction – and specifically the use of structural optimization methods – has on the resources used in the SLM manufacturing process,” says Klaus Hoschke, scientist and group leader at Fraunhofer EMI. The focus was on energy and material consumption, the manufacturing time and the CO2 emissions that arise during the small-scale production of twelve wheel bearings. 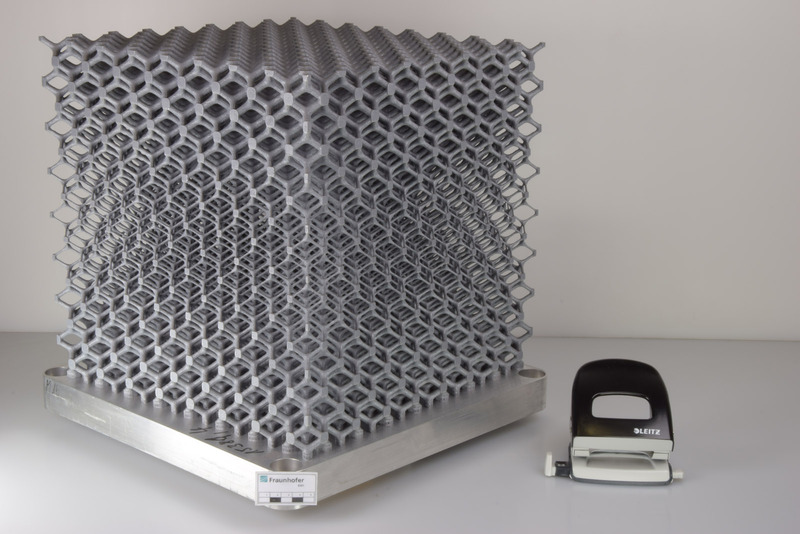 Lattice cube with edge length of 40 centimeters, one of the largest metal structures manufactured using selective laser melting (SLM). Several structural components arranged on a base plate after a selective laser melting process. Finite element analysis of the start design of a wheel bearing technology demonstrator (left); numerical design optimization of the technology demonstrator to reduce the component’s mass without impairing functionality (center); and CAD template for manufacturing the 3D metal component (right). After the researchers had used the numerical finite element method (FEM) to simulate and analyze a draft design and determine the right geometric shape with structural optimization methods, they constructed the wheel bearing in an optimized lightweight design. The result was a wheel bearing designed for the defined load scenarios and offering maximum performance. Because of their geometric complexity, structures produced in this way cannot be manufactured by conventional methods such as milling or turning. “With the lighter model, we were able to save hugely on resources during production, as less material has to be produced per component. If you multiply this by the number of units in a small-scale run, then you require less time, material and energy for manufacturing. Reducing volume through the use of higher-strength materials offers the greatest potential for energy savings here,” says the researcher. Using the numerically optimized version of the wheel bearing, 15 percent less energy was required for the additive process than for the conventional method: Twelve kilowatt hours of electricity were needed for the conventional design, whereas only ten kilowatt hours were needed for the numerically optimized design. (In each case, the measured value refers to a series-manufactured component.) Manufacturing time was cut by 14 percent and CO2 emissions by 19 percent. And where material consumption was concerned, it could be significantly reduced by 28 percent. 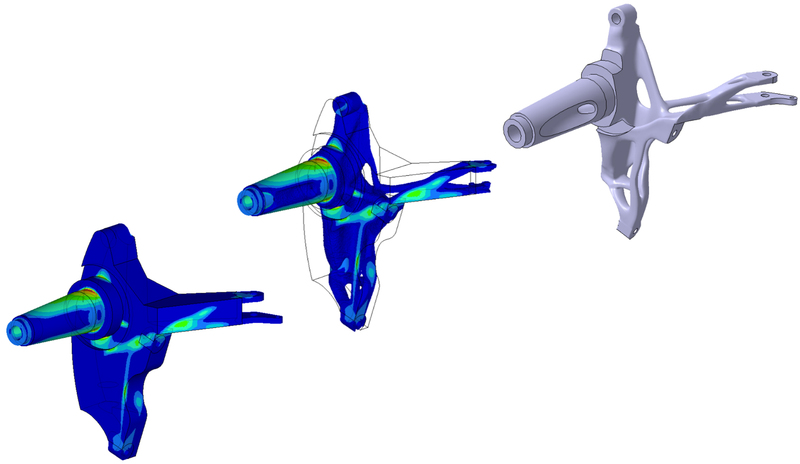 Although structure-optimizing algorithms and numerical optimization simulations are already being employed in the 3D printing of components today, they are only used when the component must be extremely lightweight, such as aircraft parts designed to reduce fuel consumption during operation. Components that lack these implications as regards structural optimization are still generally manufactured using conventional industrial methods. The results of the small-scale series production of the wheel bearing suggest that additive manufacturing can also be useful when a component does not have to be structurally optimized as such. “A heat exchanger or a tool mold, for example, do not have to be lightweight to improve their functionality. Nevertheless, it makes sense to design them with reduced weight and volume when manufacturing them additively, because this way you can bring down manufacturing costs,” explains Hoschke. Forecasts on what effect the Additive Manufacturing of metals will have on global production vary widely. But everyone agrees on one thing: for many industries – such as aerospace, automotive engineering, medical engineering and toolmaking – it is a game changer. “Our positive results for resource efficiency in the manufacturing process should reinforce this,” says the scientist. In the future, Hoschke and his team want to research the extent to which other design heights, series sizes and materials such as titanium affect the resource efficiency of the manufacturing process.